Only LifeSpan COMPLETE provides complete support needed to improve mobility, reduce Hip Dysplasia pain and lubricate joints. 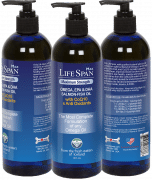 Help your dog and give them what owners of professional working dogs use: n of LifeSpan Dog Arthritis Treatments. Only LifeSpan COMPLETE provides complete support needed to improve mobility, reduce pain and lubricate joints. Help your dog and give them what owners of professional working dogs use – the complete protection of LifeSpan Dog Arthritis Treatment. #1 Rated and MOST COMPLETE FORMULA available! Our Dog Arthritis Kit is the only choice that also includes a propriety blend of Liquid Glucosamine, MSM, & Chondroitin which has been shown to be 5X more effective than tablet form! As the Systemic Enzymes work at the cellular level to fight pain, LifeSpan Liquid helps to rebuild damaged cartridge, lubricate joints, and reduce canine osteoarthritis. Numerous studies point to the fact that the benefits of liquid Glucosamine, MSM, & Chondroitin are much more effective than tablet, or pill form. Liquid forms have almost a 98% absorption rate, as compared to tablets and pills which have an absorption rate below 15%. Adding to this, the liquid form provides continual and constant support to the joints, where tablet and pill form have been shown to provide varying levels due to the low absorption rates. 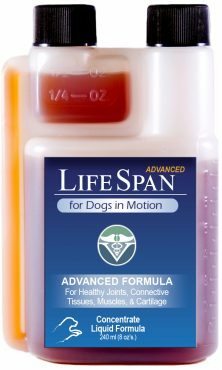 Only LifeSpan provides complete support needed to defend against hip dysplasia and dog arthritis pain with both Systemic Enzyme and Liquid Glucosamine Support! Help your dog and give them what owners of professional working dogs use – the complete protection of LifeSpan Dog Arthritis Treatment. 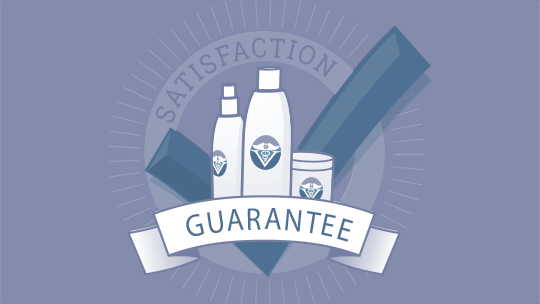 Our guarantee is unconditional; if LifeSpan does not work, we will refund your money.